Today I had many awesome giveaway offers to share with you but I was confused that Whom I choose ? , Finally I decided , I should share an antivirus software gift with all my respectable readers . Actually today’s gift is the McAfee Antivirus Plus 2015 and you can enjoy the world’s best and foolproof 6 months security for totally free . I am quite sure , you would agree with me that it is really worth buying , using and as well as worth sharing . Tune-up ” feature removes unused applications, cached browser files, and other junk to speed up your computer/laptop . The internet has become a basic necessity of our daily life , by the way to be honest personally I can’t live without the internet , LOL , It would not be wrong to say that McAfee antivirus 2015 is specifically designed for internet users . McAfee antivirus 2015 has lots of useful features for internet users such as Safe Socializing, Browsing , Downloading , Searching, and the best thing is safe Shopping to make your online journey secure , full of fun and risks free . Its Vulnerability Scanner feature finds and seals up holes in Windows and your favorite browsers and applications . Its Real-time Antimalware feature blocks and removes threats like viruses, Trojans, and spyware in your files, email, and web downloads using instant risk assessments through the cloud . NEW and attractive Home Screen and supports touch-friendly devices . To get more information and features please visit the Homepage . Getting McAfee antivirus Plus 2015 with 6 months activation or serial key , unfortunately this offer is not for old users , therefore you will have to create a new account. But you may try your luck. 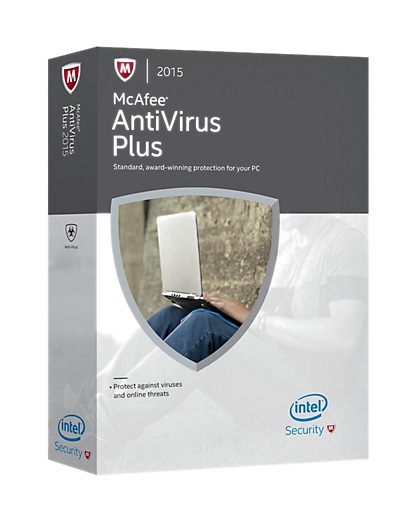 All you need to do is here you go to download McAfee Antivirus Plus 2015 180 days free trial with all security features.